Chapter is delighted to present a solo exhibition of new works by David Mackintosh. Mackintosh's disarmingly simple drawings are by turns naiive and macabre; mundane then exciting; graphically simple and yet psychologically complex. Rendered in a limited palette of black, red, green and yellow gouache, the tone of his works is both intricate and elusive, their graphic presence sharing much of the language of cartoon or illustration. But there is something about the seemingly straightforward spontaneity of his marks - loaded as they are with salaciousness, humour and pathos ' that implies a further reading; encapsulates the position between expectation and revelation, and intonates that the composition of the subject is anything but one-dimensional. 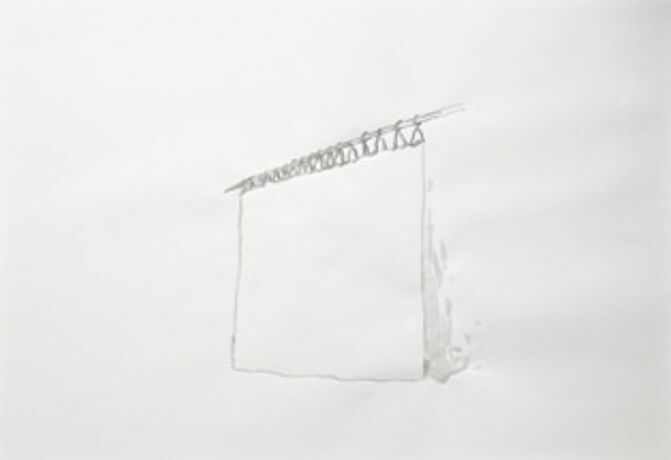 Recently, the increasing complexity of the drawings' psychological landscapes has been matched with a formal expansion of the possibility of drawing beyond the limitations of the page and into three-dimensional or shifting space - using animation, music and frames on which to peg groups of works; building narrative possibility. David Mackintosh was born in Sunderland in 1966; he lives and works in Manchester. 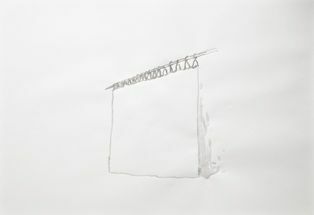 Recent solo presentations include Cornerhouse, Manchester (2010) and Spike Island, Bristol (2008) and he has exhibited in group shows at the Tegnebiennale, Norway (2010); Contemporary Art Society, London (2009) and Gallery Praxis Hagen, Berlin (2007). He has work in Collection Berge Madrid, Ernst & Young London and in private collections throughout Europe and America. Mackintosh is represented by WORKS I PROJECTS.